For over 50 years Myrna’s Catering has been offering specialized off-site catering for weddings and special events in Pennsylvania. When you want high quality catering in Pittsburgh, PA that is also affordable for a large number of people, then you should consider the delicious and fresh buffet menus. 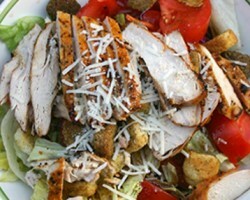 This company is not only focused on serving flavorful meals but also on meeting the needs of their clients. If you have a special request that is not on the menu like BBQ crawfish, these experts are more than willing to accommodate. A Pittsburgh catering service should offer a variety of menu options and meals that everyone involved in the party or celebration will love. This is exactly how Roxanne’s Catering has developed their menu. This company offers appetizers, a breakfast menu, dinner options and desserts that are sure to leave your guests totally satisfied and ready to celebrate your wedding. The best part about working with this caterer is that the menu can be relatively cheap when you make more budget friendly choices. A wedding reception is all about two things: the food and the celebration. Couples have choices when it comes to choosing the food they would like to serve and Two Brothers Bar-B-Q believe they should be free to choose their favorite dishes rather than the traditional options. This is one of the top wedding catering companies in Pittsburgh because this company offers all of the slow cooked meats and comfort foods that everyone will love. 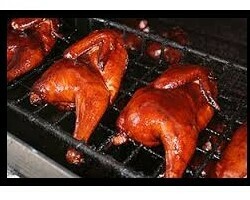 Forget the traditional Italian catering menu and opt for delicious BBQ. 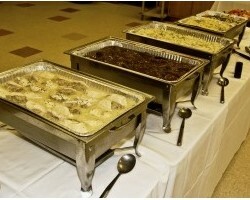 D.D.’s Catering offers a delicious catering menu that is sure to make your mouth water. 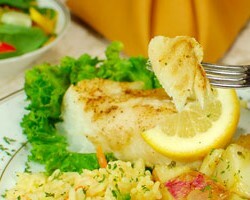 Since food is the focus of their service, they work to ensure the dishes and the ingredients are of the best quality. They can offer unique meals for a corporate lunch or wedding and even provide themed menus that feature Mexican food for example. With all of the dishes being made from scratch and the team being incredibly easy to work with, you will quickly become a loyal customer of this local catering company. You wedding day is a very special occasion and thus, you should have the most delicious menu at your reception to celebrate. Court Yard Catering offers a menu that is completely made from scratch. This ensures all of the freshness and delicious flavors the company is known for. They can serve their dishes at any venue, whether it is an indoor or outdoor event and always are available for party planning and coordination. 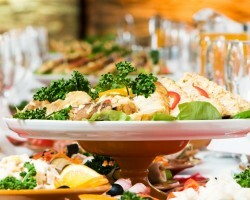 As local caterers, this company works to ensure the wants of their clients are met by offering the option to customize.